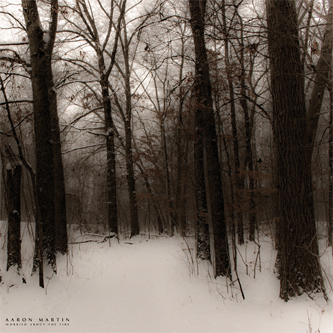 By now it's probably safe to stop introducing Aaron Martin with references to his prior collaborations with Machinefabriek and the like (oh darn, I've just done it anyway); he's become a major player on the improvised electroacoustic scene in his own right, and Worried About The Fire is his fourth album. The cellist and all-round one-man soundscape devised this new collection of works as a score to a short film, and finds him shirking his usual live approach in favour of processed, electronically edited material. This doesn't interfere with the language of Martin's music (the cello, banjo, organ and harmonica constituent parts remain key) but it does give Martin the opportunity to work in a more composerly fashion than his usual style would dictate, stripping the music of its emphasis on realtime layering and the structural limitations that implies. 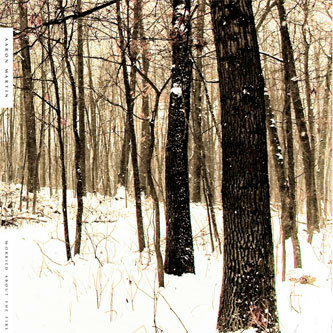 The album begins in a tentative fashion, spinning a percussive drone through a phaser on 'Albee', before 'Ice Melts Onto Fingers' deconstructs the atmospherics with bells, cymbals and a kind of minimal harmonica fanfare. It's only by 'Open Knife' that Martin's recognisable musical idiom reveals itself, and from here on the string arrangements really start to flow, from the quiveringly melodic majesty of 'Water Tongue' to the suspenseful discord of 'Reed Tunnel', complete with bowed saw. The album's twists and turns make for an always-compelling sequence, and Worried About The Fire is almost certainly Martin's most in-depth and varied long-player to date; 'Wires Of Glass' finds him spinning through loops of vinyl crackle and choirs of meandering, wordless vocals, while elsewhere you encounter the likes of 'Blue Light', whose mysterious, dissolved plucks sound like a piano being played somewhere in the blurry distance. 'Beaver Falls' (presumably a place name rather than a prompter for aquatic mammal schadenfreude) proves to be exceptionally beautiful too, filling its three-minutes with slippery, multilayered high frequency glissandos that eventually cement into rhythmically urgent bowing figures. The recording is such that it sounds as if Martin started out the piece at the back of the room, before eventually making his way towards the mic for a dramatic finale. There's much to absorb here, and Worried About The Fire makes a strong case for being Martin's most assured and mature statement to date. The polish on the finished product is commendable too - Taylor Deupree handles the audio mastering while the opulent, oversized digipak ensures this is a finely dressed release to boot.